Hemelhuijs means heaven’s house and if that is what breakfast is like in heaven – I promise to behave myself from now onwards! Every nook and cranny of the lovely hemelhuijs is decorated in the most fantastical manner – its a perfect blend of over the top and just enough. Strange that combination but hemelhuijs manages to pull it off with such charm. I’m not a coffee drinker *feel free to judge me* – but I have it on good authority by the fellow breakfast eaters that the coffee is amazing and they proceeded to order a second cup. As I’m not a coffee drinking I have become a hot chocolate drinker. The white hot chocolate at Hemelhuijs is the hot chocolate to end all hot chocolates. The truffled white chocolate with steamed milk is the hot chocolate of dreams. I must also disclose my truffle obsession – on pasta, pizza, fresh bread- I love the stuff! So hot chocolate plus truffles and I was as smug as a Cheshire cat. 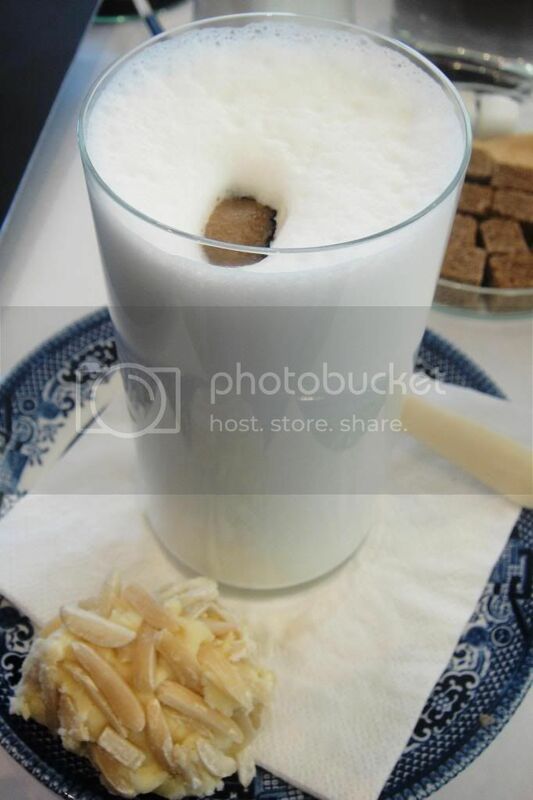 The floating bit of truffle on the top of the glass gets dunked along with the ball of white chocolate and nuts. As you stir the flavours melt and mix together to create creamy rich happiness in a glass. Truly indulgent and truly delicious! And now- we talk about breakfast. Hemelhuijs is hands down my favourite place to have breakfast in Cape Town. I honestly feel there is no competition. If you do think you’ve got a strong contender – please drop me a comment so I can give them a try! 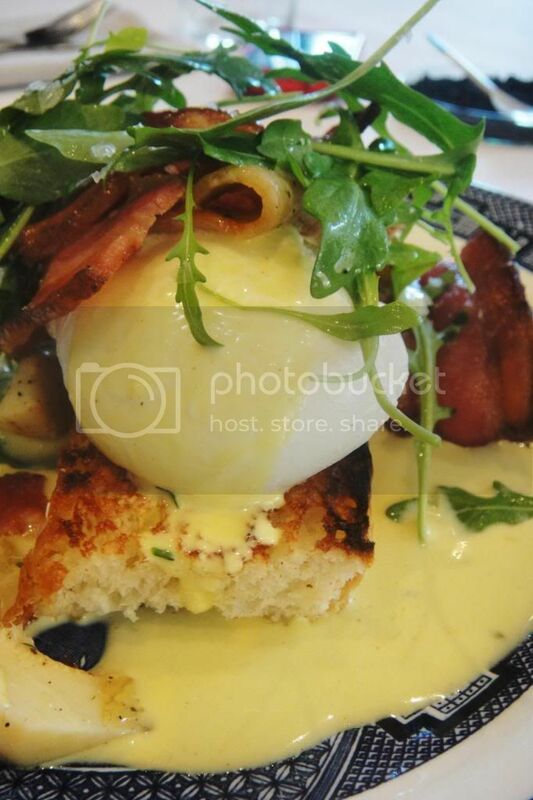 This here is your poached farm eggs with hollandaise sauce, artichoke and bacon. The hollandaise sauce is outstanding- creamy, butter and rich. This breakfast is delicious- and in my opinion the very best eggs Benedict you’re going to find in Cape Town. The pairing of the tart and almost zesty artichoke with the heavy sauce and rich eggs was clever as lightened the meal and added extra flavour combinations. 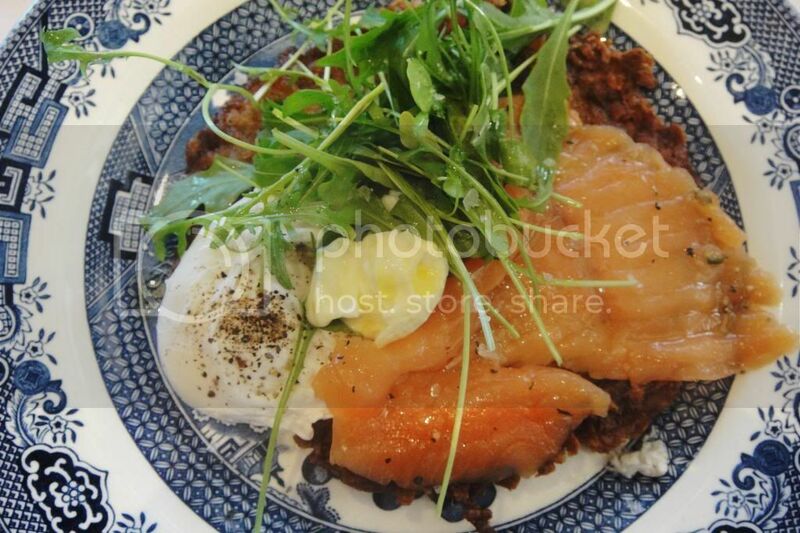 poached to absolute perfection – the yolk beautifully oozes onto my rosti and combined with the salmon gravidlaz I was making mmmm noises until the plate was pretty much scraped clean. 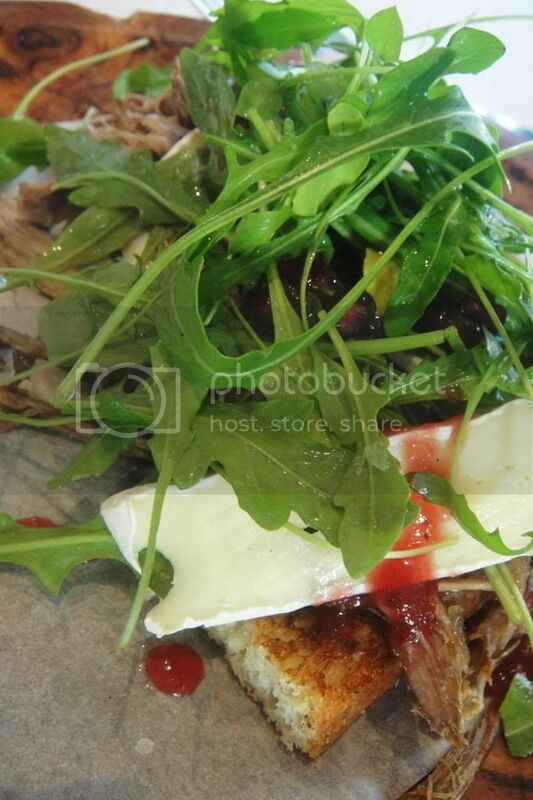 This is an open sandwich with duck, Camembert and pomegranate seeds and fresh rocket. The best thing about Saturday breakfast is that you can have both breakfast and lunch – so my happy boyfriend had a giant duck sandwich and ate every bite! 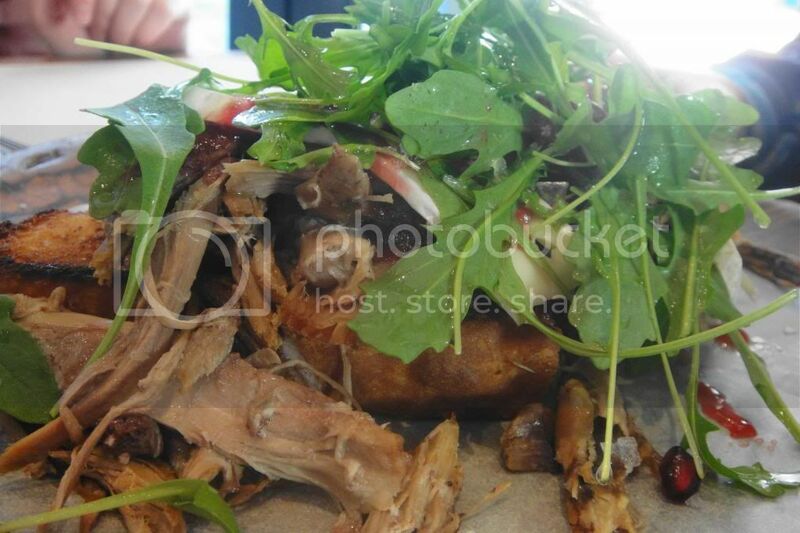 The duck was wonderfully flavoursome and tender and the pomegranites complemented the sweetness of the duck meat. The charming boyfriend thinks he won best breakfast- but I’m still voting potato rosti! And of course we also had cake. I know – absolute gluttons but we have no regrets! I love lemon meringue so was very happy with my choice- tart and sweet and creamy all the things a lemon meringue cake should be. The red velvet was delicious and moist and a very huge slice to eat all on your own! The carrot cake… well, my mom makes better carrot cake. But in their defense no one makes carrot cake better than my mom. 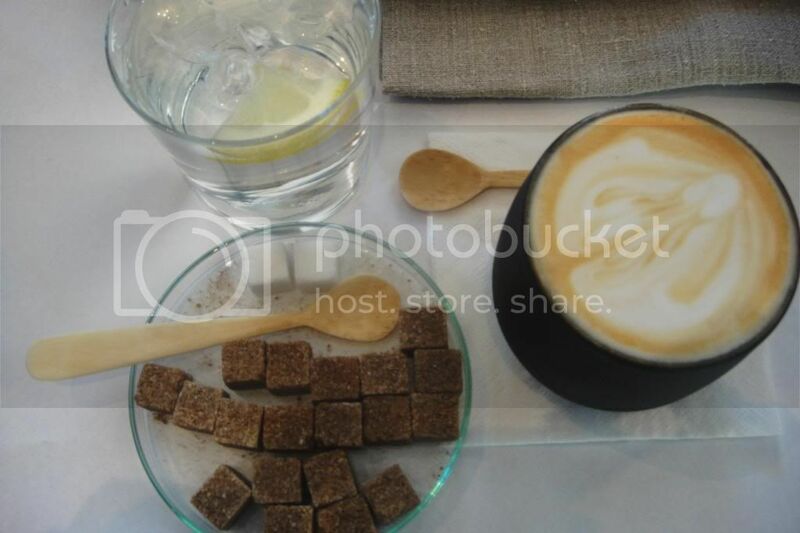 Hemelhuijs, you are damn delicious and I cannot wait to head back for Sunday Breakfast. 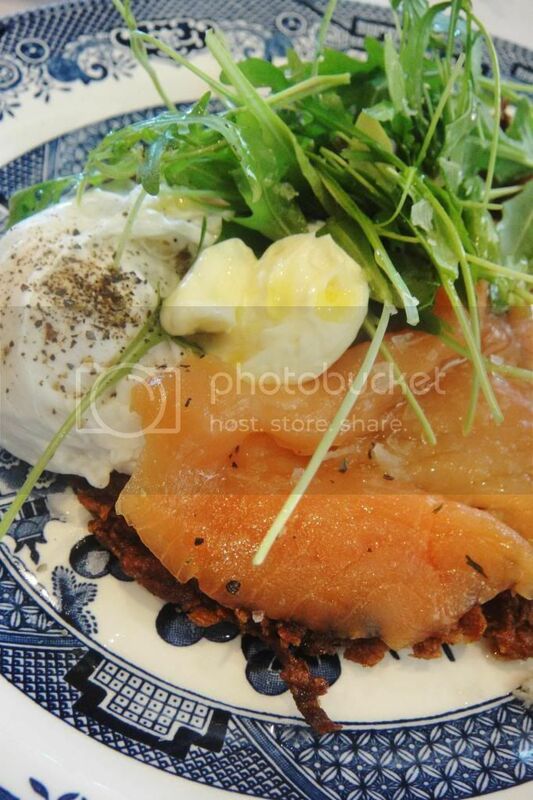 One negative about Hemelhuijs is it come with an above average breakfast price tag. But in my opinion their food is well above average.